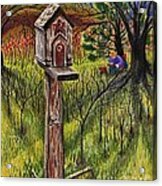 Queen duvet cover (88" x 88") featuring the image "Bird House" by Joy Bradley. Our soft microfiber duvet covers are hand sewn and include a hidden zipper for easy washing and assembly. Your selected image is printed on the top surface with a soft white surface underneath. All duvet covers are machine washable with cold water and a mild detergent. Jeffrey, What a surprise!! Thank you!! Love your work!! you have many delightful and attractive pieces in your gallery. Wonderful artistic eye. 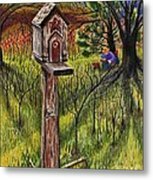 Thank you Jose for featuring "Bird House" in the Stop Time with Art Group! This is charming, Joy! Love it! 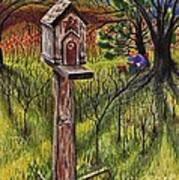 I love birdhouses, well done my friend! Gives me a good feeling all around. I like the quaint, lovely feeling of this picture. Fantastic pencil work Joy !! Bird House "Spring has sprung!!" 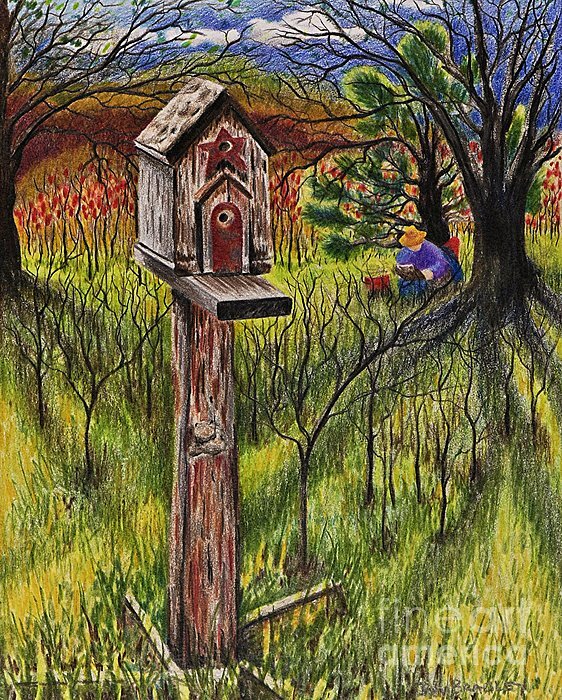 Original Plein-aire Drawing By Joy Bradley DiNardo Designs Prismacolor pencil on Bristol board. All rights reserved.